Even a small savings account for your child could make a powerful difference in their future. A recent study shows that children from low- or-moderate-income families, who have a savings account for college, are three times more likely to go to college, and four times more likely to graduate college—even if the account holds less than $500. Parents often want to open accounts for their children, to help them learn about saving for the future and managing their money. And young people often go to a bank to open an account when they get their first job and start earning money. However, when trying to open an account for a child under age 18, some people run into roadblocks. Whose name should the account be in? Who has to sign for it? Questions like these can be hard for the young person, the parent or caregiver, and even for the bank or credit union. This could mean that some children and teenagers are missing out on this important way to build their financial future. To help, federal banking regulators have issued guidance for banks and credit unions when they’re asked to open savings accounts for children under age 18. Youth savings accounts are protected by the same federal consumer protection laws and regulations as other accounts. More schools may be working with local financial institutions to provide financial education and opportunities for children to open accounts. The new guidance explains the federal rules on when accounts can be opened at school. Some states may not allow minors to open their own accounts. However, a parent can still open an account for the child and can consider putting both names on the account. 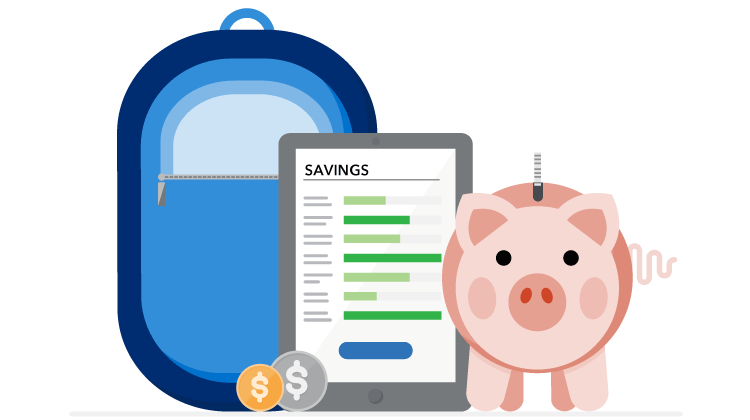 Financial skills are important in life and getting kids started early with good financial habits and savings can make a big impact on their financial futures. We’ve got some answers to your questions about teaching kids the money basics and ideas for how to get started.